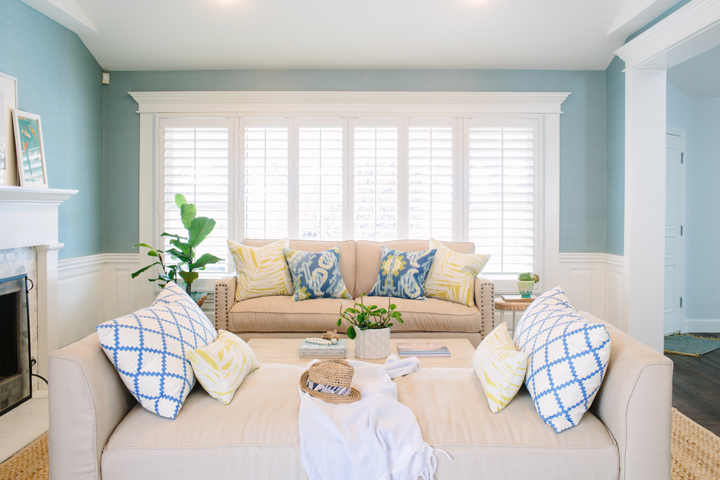 It’s all sun and sea in this SoCal home by Rita Chan Interiors, a Manhattan Beach interior designer known for her clean, coastal style! 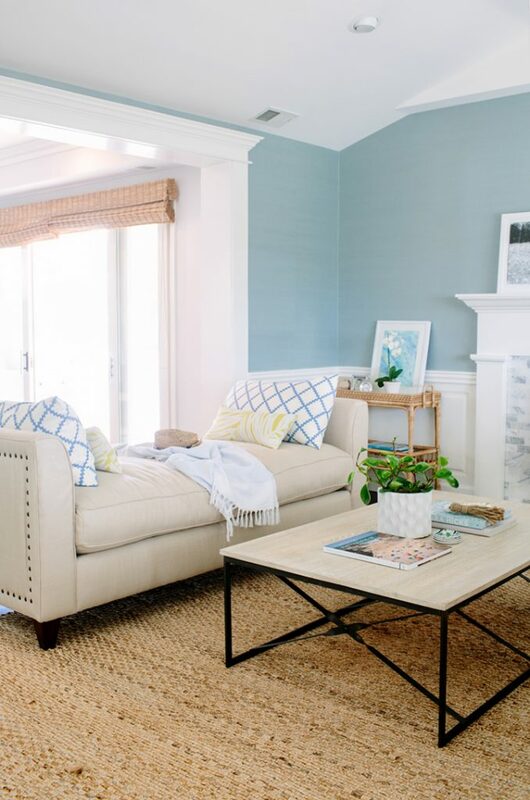 Filled with natural light and warmed by loads of natural texture, the breezy abode has a relaxed, casual vibe that I seriously love. 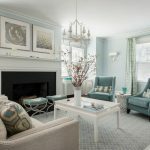 The living room couldn’t be prettier with its dreamy grasscloth walls and cheery mix of patterns on the throw pillows. 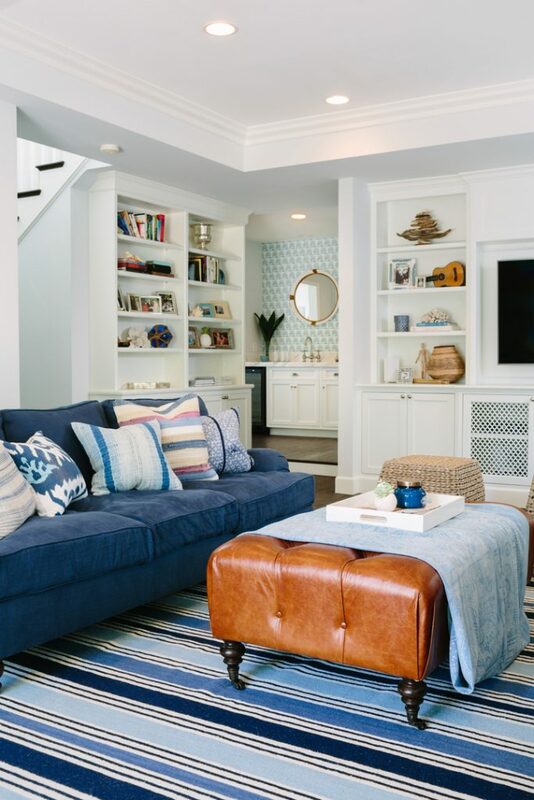 And I just love the family room! 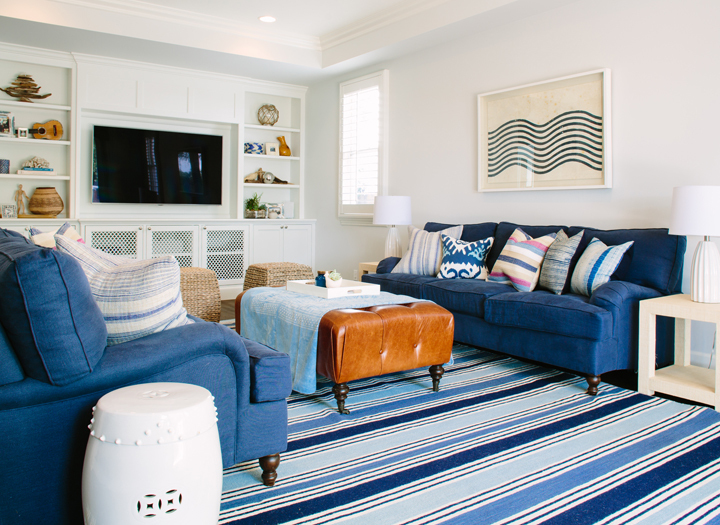 Nothing says coastal quite like a blue and white striped rug! 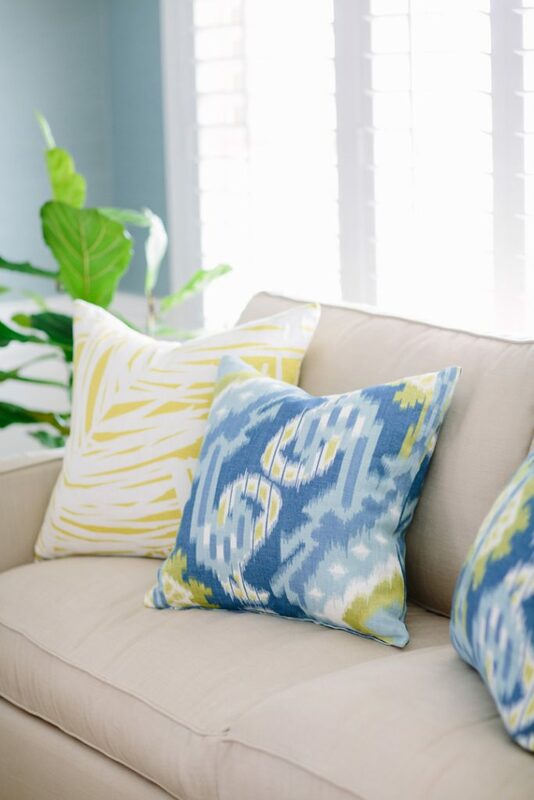 The eclectic mix of pillows anchored by the navy sofas is so striking too! 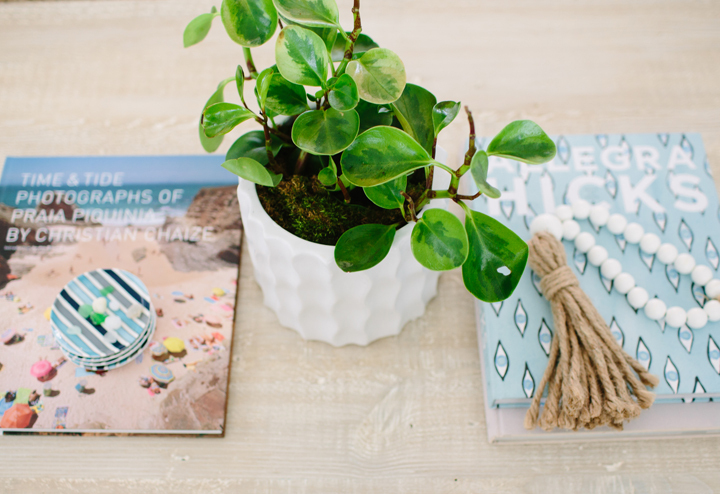 There’s more to see of the home…go here to finish your tour! 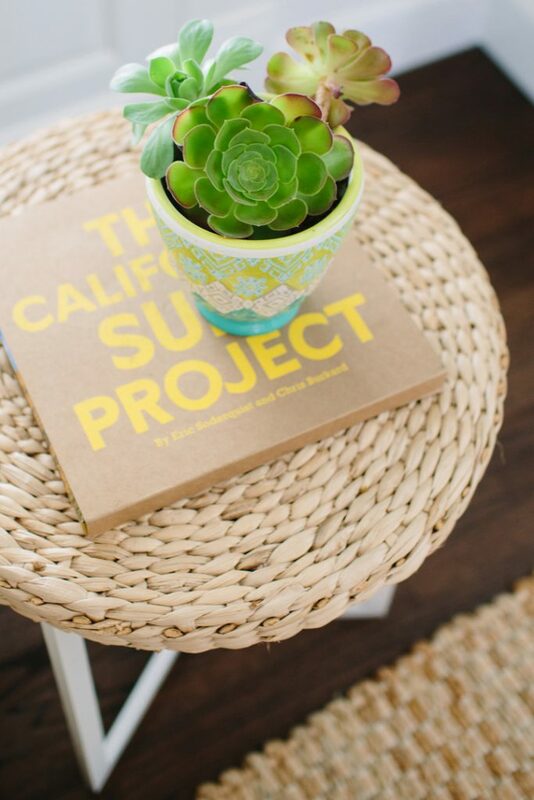 And for another one of my favorite projects by this talented California designer, go here! 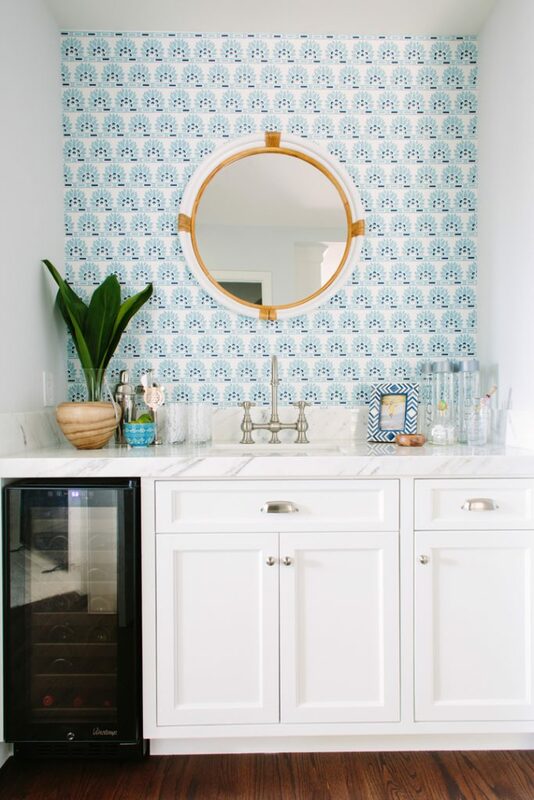 That bathroom space is gorgeous, I love the print on the wall behind the sink. 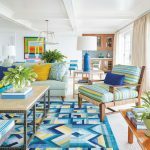 Blue and yellow make such a great combination in a beach house. 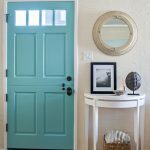 Thanks for sharing the inspiration!